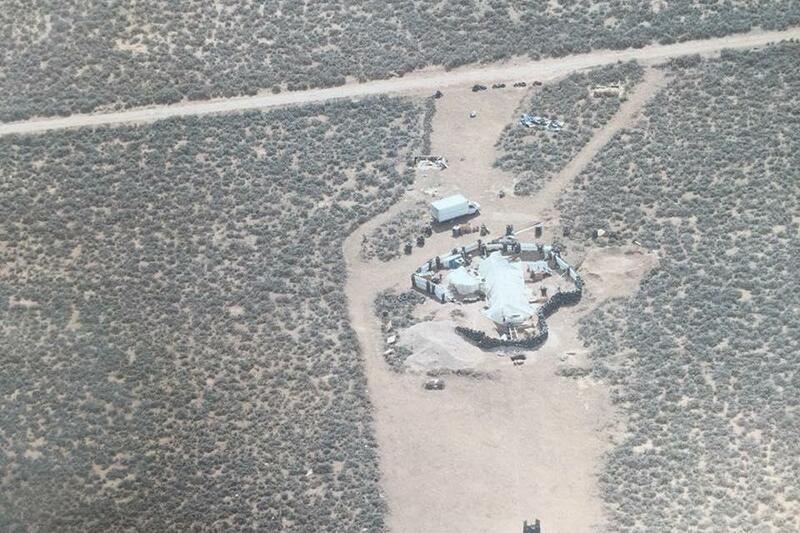 The five suspects accused of abusing 11 children at a New Mexico compound were training them to carrying out school shootings, court documents released Wednesday said. Prosecutors said if the five adults were to be released from custody "there is a substantial likelihood defendants may commit new crimes due to their planning and preparation for future school shootings," CNN reported. The allegation was made by a foster parent for one of the 11 children and no further details about the alleged training were included. [post_ads]Siraj Wahhaj, one of the suspects who also was wanted for the abduction of his 4-year-old son, Abdul-Ghani Wahhaj, appeared in court Wednesday and didn't enter a plea on the child abuse charges related to holding the children at the compound, New Mexico's KOB4 reported. Jany Leveille, one of the three women found at the compound, also didn't enter a plea. The other three suspects, Lucas Morton, Hujrah Wahhaj and Subhannah Wahhaj, each pleaded not guilty to child abuse charges. Taos County Sheriff Jerry Hogrefe was expected to discuss the alleged school shooting training at bond hearings for the five suspects set to take place Friday or Monday. Officials discovered the remains of a child at the makeshift compound on Tuesday, but Hogrefe did not confirm the identity of the body citing a pending autopsy. Authorities stormed the compound on Friday in search of Abdul-Ghani, but instead found the 11 other emaciated children living in the filthy compound with scarce amounts of food and water.